America's military budget is already so astoundingly huge that the numbers alone can make the increases in President Trump's 2020 budget request seem like a drop in the bucket. What's an extra $34 billion, when the Pentagon already burned through $716 billion last year? 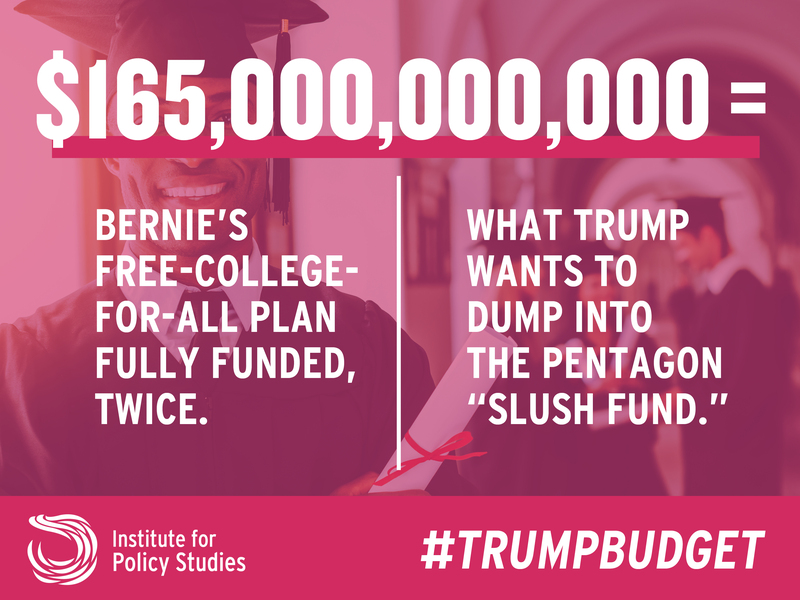 It helps to compare the pricetag of some of the most misbegotten proposals in the Trump budget to spending priorities that actually improve people's lives. 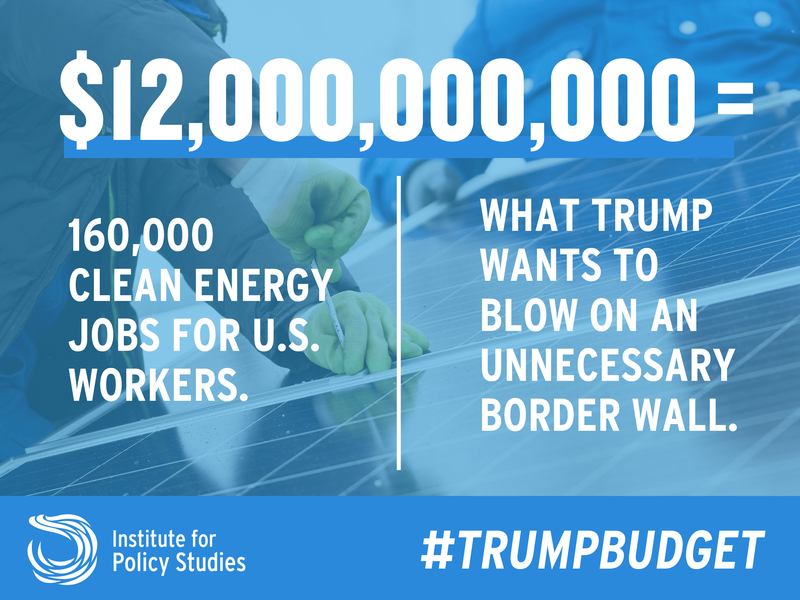 President Trump wants to blow $12 billion on an unnecessary border wall. That's enough to fund 160,000 clean energy jobs for U.S. workers to kickstart a Green New Deal against climate change, or enough to fund health insurance for 5 million children. 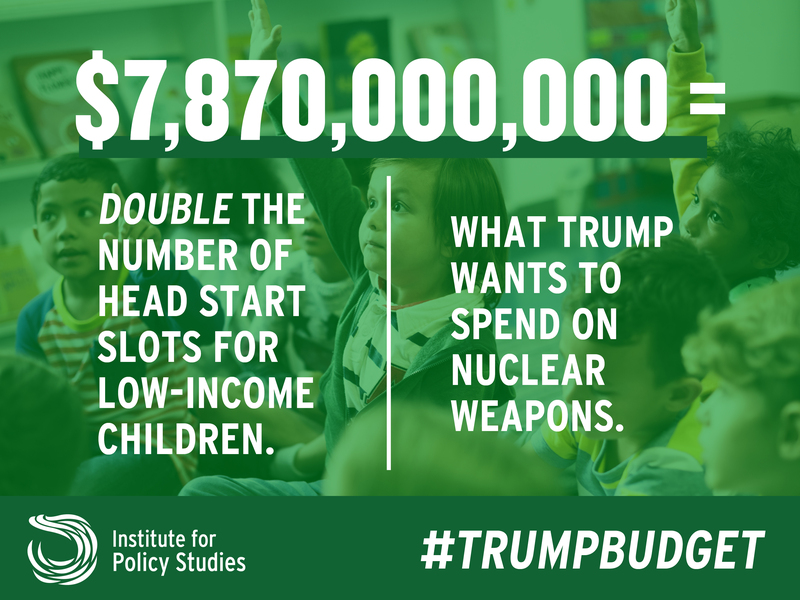 The Trump budget requests $7.87 billion for "nuclear modernization," to make planes and ships more effective delivery systems for weapons of mass destruction. That amount would fund 888,211 Head Starts slots for low-income children, almost doubling the current number. $7.87 billion is more than the entire proposed budget of the Environmental Protection Agency. The Trump budget proposes to dump $165 billion into the Overseas Contingency Operations (OCO)—also known as the Pentagon's slush fund for war—more than double its current funding. That's enough to fully fund Bernie Sanders' free-college-for-all plan twice over. 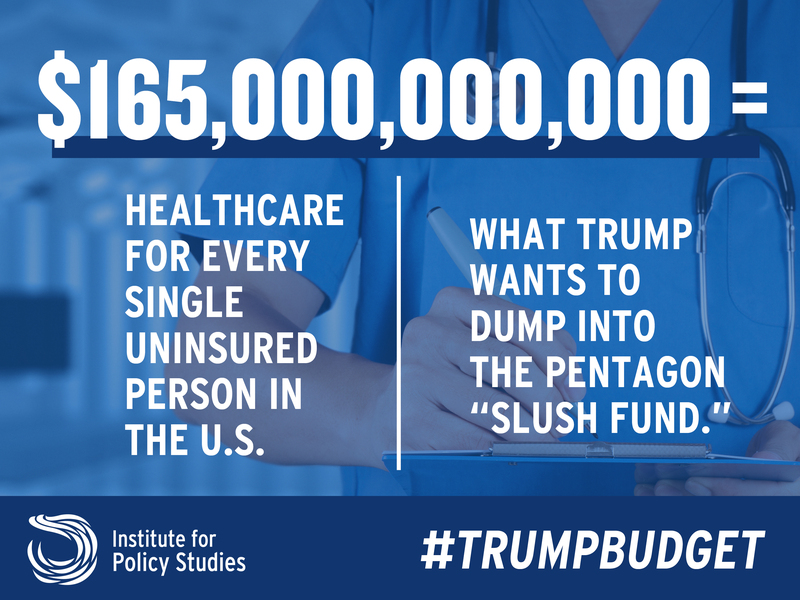 $165 billion is enough to support healthcare for 46.35 million people—that's more than enough to cover every single uninsured person in the United States. Or it could pay for wind and solar energy for every household in the United States. The president's budget request is just a proposal; he's unlikely to get much of what he wants by the end of the federal budget process. But every budget is a moral document, and every dollar (or billion dollars!) spent is a trade-off between different potential priorities. And the distance couldn't be clearer between this administration's priorities and the priorities of a truly moral society. For more on the Trump budget, see our preliminary analysis here.